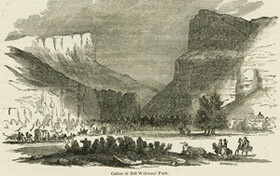 Rather than pressing on to the west toward modern Kingman beyond Cactus Pass, Lt. Whipple hoped to find an easy railroad grade to the Colorado River via a stream identified as the Bill Williams Fork. 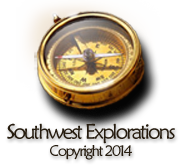 This elusive tributary of the Colorado was sought and missed by Sitgreaves a little more than two years earlier. Sitgreaves’ guide, Antoine Leroux had named the stream after mountain man Bill Williams, whom he had encountered along that stream some years earlier. The wash that Whipple followed is known today as the Big Sandy River and his trail paralleled modern highway 93 for some distance around Wikieup, Arizona. Several miles to the south this stream joins the Santa Maria River and they both become the Bill Williams River. Between the distance and the delays it took Whipple a couple of weeks to reach the Colorado. The woodcut above appears in Whipple’s official report. 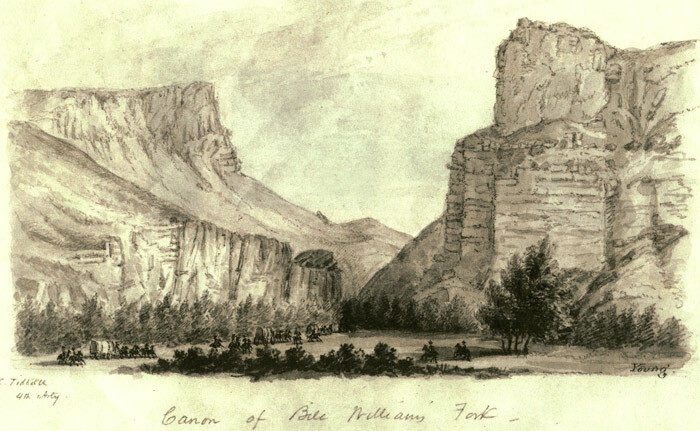 Cañon of Bill Williams Fork. Pencil and wash by J. J. Young. This sketch was the basis of the woodcut printed in Whipple’s report. 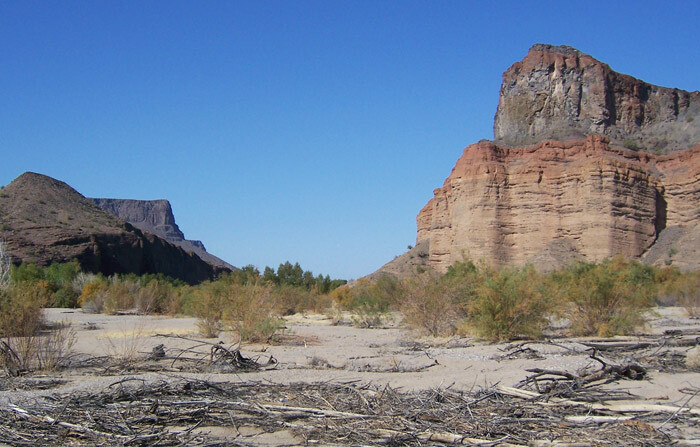 Bill Williams River scene looking west. The Colorado is about 5 miles west of this point. Tom Jonas photo.